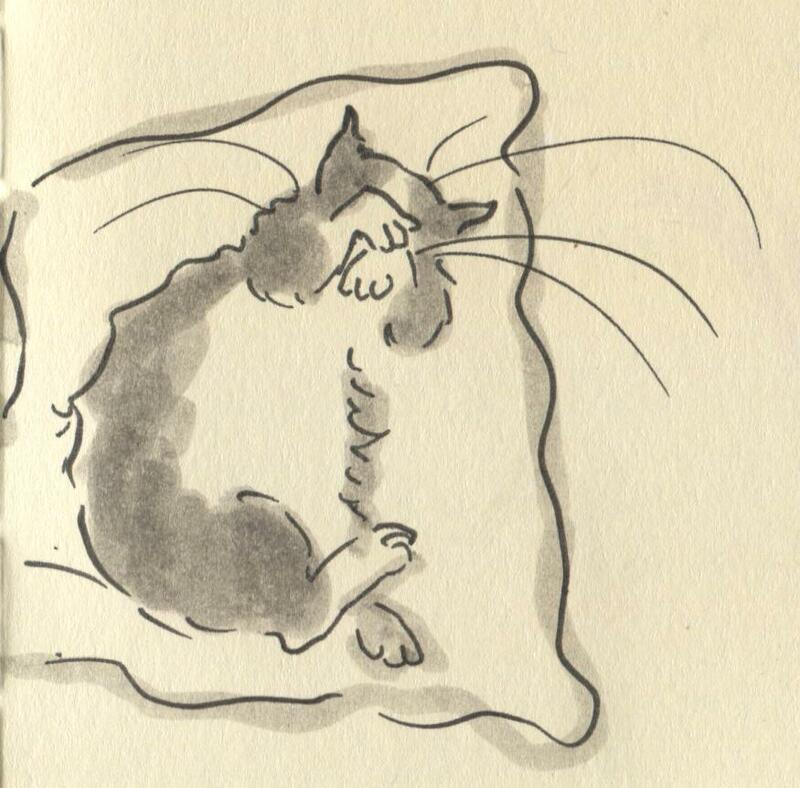 Posted on July 6, 2014, in Uncategorized and tagged cats, Doodlemum, Drawing, Family, Humour, Illustration, Life, Pen and Ink, Sketchbook. Bookmark the permalink. 5 Comments. Does Arnie have the 3 white paws and 1 gray as you drew him? He looks so much like Bootsie, one of our first fluffy cats. His two back paws were white. Is the gray wash done with watercolors? I love your pictures! Do your children draw, too? He actually has four white paws Catherine! I accidentally coloured it in last night with tired eyes! I use Faber Castell brush pens and tom bow pens too. All my kids love to draw although I never push them, it’s for them to grow to love in their own way.